Etho Capital is proudly affiliated with a select group of networks and organizations that share our dedication to improving the sustainability of the planet and communities. We encourage you to browse the entire list below, since each affiliate has a meaningful and important mission. Click their respective logos to learn more. 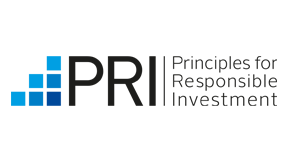 B Lab is a non-profit organization that serves a global movement of people using business as a force for good. Its vision is that one day all companies compete not only to be the best in the world, but the Best for the World® and as a result society will enjoy a more shared and durable prosperity. Etho Capital is a certified (pending) B-Corporation. Divest-Invest is a network of institutions and individuals that follows the lead of student and community-driven fossil fuel divestment along with new energy economy reinvestment. It helps to inspire people, campuses, cities, pension funds, foundations, businesses and others to think critically about the value of fossil fuel divestment and what reinvestment in climate solutions looks like. Green America is a national, non-profit membership organization. Founded in 1982, its mission is to harness economic power—the strength of consumers, investors, businesses, and the marketplace—to create a socially just and environmentally sustainable society. 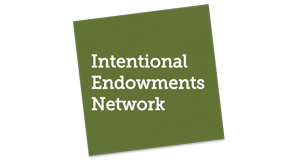 The Intentional Endowments Network supports colleges, universities, and other tax-exempt organizations in aligning their endowment investment practices with their mission, values, and sustainability goals without sacrificing financial returns. The United Nations-supported Principles for Responsible Investment is the world's leading proponent of responsible investment. It works to understand the investment implications of environmental, social and governance (ESG) factors and to support its international network of investor signatories in incorporating these factors into their investment and ownership decisions. FAIRR believes that intensive livestock production poses material risks to the global financial system and hinders sustainable development. Established by the Jeremy Coller Foundation, the FAIRR Initiative is a collaborative investor network that raises awareness of the material ESG risks and opportunities caused by intensive livestock production. 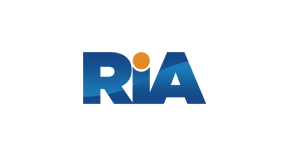 The Responsible Investment Association (RIA) is Canada’s membership association for Responsible Investment (RI). Its members believe that the integration of ESG factors into the selection and management of investments can provide superior risk adjusted returns and positive societal impact. 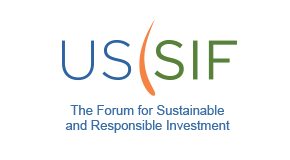 US SIF: The Forum for Sustainable and Responsible Investment is the leading voice for advancing sustainable, responsible and impact investing across all asset classes. Its mission is to rapidly shift investor practices toward greater sustainability, focusing on long term investment and the generation of positive social and environmental impacts. Sign up to receive news and information about Etho Capital. Etho Capital is committed to Socially Responsible Investing (SRI) principles, and develops investments that comply with the highest Environmental, Social and Governance (ESG) standards. Any performance information provided on this website is past performance, and past performance is not a guarantee of future results. All investments are subject to market risk, which includes the possible loss of principal value. Consider an investment's objectives, risks, charges, and expenses carefully before investing. Copyright ©2019 Etho Capital, LLC, all rights reserved. Our flagship strategy, the Etho Climate Leadership Index - US, can be invested in through an exchange traded fund. Visit www.EthoETF.com to leave this site and learn more about "ETHO". Invest with Etho Capital through our flagship ETF, which is traded on the New York Stock Exchange under the ticker, “ETHO”. Investments can be made through any broker or brokerage account. To learn more and access our prospectus, visit www.EthoETF.com.